Dr. Beverly Rubik is a leading scientist internationally renowned for her research exploring frontier areas of science and medicine. She specializes in subtle energies in health and healing. In 1979, Dr. Rubik earned her doctorate in biophysics at the University of California at Berkeley. She has published over 60 papers in scientific and medical journals and 2 books. Dr. Rubik serves on the editorial board of several medical journals, including Journal of Alternative & Complementary Medicine, and Evidence-Based Integrative Medicine. She was one of 18 hand-picked advisors to the original Office of Alternative Medicine at the US National Institutes of Health (NIH), and she helped launch this new federal office through its startup years, from 1992 through 1997. She also chaired an NIH panel on energy medicine. The American Medical Students Association hired Dr. Rubik to develop the first medical school curriculum on energy medicine, which was also funded by NIH. In 1996, Dr. Rubik founded the Institute for Frontier Science, a nonprofit research laboratory in Oakland, California to explore subtle energies and energy medicine. In 2002, her Institute was awarded an NIH center research grant to study the human energy field together with scientists at University of Arizona. She and her colleagues have been conducting research on Oriental concepts of subtle energy and practices such as Reiki and qigong. They are building a scientific foundation for understanding the human bioenergy field in health, healing, and optimal performance. Dr. Rubik also has a clinical practice where she advices people on alternative and complementary health practices. 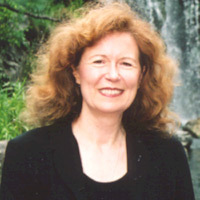 Beverly Rubik has appeared on numerous television programs throughout the US and worldwide, including a live appearance on “Good Morning America” (ABC-TV), where she presented her work on the human energy field in December 2000. PIP-scans allegedly visualize the human energy anatomy characterizing individuals and their conditions and states. Reflected light patterns around the human subject are digitally captured and processed by PIP software to suggest such features as the chakras and areas of energetic imbalance and blockage within the body. Just as differentially transmitted x-rays reveal internal body structures, differentially reflected light in PIP-scans is believed to reveal energy patterns (“e-rays”) of the biofield. The PIP imaging technology will be described and examples from research and the clinic analyzed. The prospects for applying PIP to health care and research will be explored. Workshop #280): Polycontrast Interference Photography: What Does your Energy Field Reveal? Polycontrast Interference Photography (PIP) is used to visualize the whole-body human energy field, including the chakras, dantians, and acupuncture meridians, via photon interaction with the body. (For more background information, please see the plenary talk on this subject by the same presenter.) Just as x-rays are useful in imaging, PIP may be considered as an “e-ray.” All participants will be PIP-scanned. For greatest accuracy, participants should wear white clothing that covers the body minimally, such as white swimwear or underwear. From the symmetry and colors of the PIP patterns obtained, the energy fields of participants will be evaluated and discussed. Dr. Rubik began conducting research on spiritual and energy healers in the late 1970s, after she had a remarkable personal healing experience. She will tell stories of remarkable healings that have occurred in the clinic as well as the laboratory, on humans, animals, and cell cultures. These data include the qualitative, inner dimensions of healing, and depict unique and sometimes uncontrolled events. They are inspirational and provide insights into the mysterious real-life phenomena of healing, revealing its transpersonal dimensions. Healing experiences are remarkably unique to each person and typically offer spiritual lessons for both healer and healee. Polycontrast Interference Photography, also known as PIP, is a novel technique to visualize the whole-body human energy field, including the chakras, dantians, and acupuncture meridians. It was developed by Harry Oldfield, British scientist and inventor. The PIP method involves digital processing of light interference patterns on and around the human subject, who is best observed naked and illuminated by uniform, full spectrum light. Light reflected from the body is interpreted by the PIP software to show areas of energetic imbalance and blockages within the body, through the assignment of software-enhanced colored patterns in three dimensions. Just as x-rays are used to show internal body structures, PIP may be considered as an “e-ray” that shows the energy anatomy of the biofield. For example, a PIP scan showing blackness in the brain stem area has been empirically correlated with depression, sleep disturbances, or Seasonal Affective Disorder (SAD). Another example of a scan of a Buddhist Lama showed a huge and vibrant aura with dancing lights all around the man, plus a remarkably symmetric pattern of bright colors revealing the chakras. Another example of a PIP scan from a person with suspected liver disease is a pronounced darkness on the right side of the upper abdomen. The PIP method will be described in detail. Various examples of PIP scans from the clinic and also from the research laboratory will be shown and analyzed. The advantages and the disadvantages of using PIP will be discussed. The future prospects of PIP for breakthroughs in subtle energy research and in various health care practices will be discussed. Polycontrast Interference Photography (PIP) is a novel method to visualize and photograph various aspects of the whole-body human energy field, including the various chakras, dantians, and acupuncture meridians, via photon interaction with the human body. It was developed by Harry Oldfield, British scientist and inventor, who is world-renowned for his work with Kirlian photography. The PIP method involves digital processing of light interference patterns on and around the human subject, who is standing in minimal attire while being illuminated by uniform, full-spectrum white light. These light interference patterns are then interpreted by the PIP software, which reveals information about areas of energetic imbalance and blockages within the body, through software-enhanced colored patterns that may be visualized in three dimensions around the body. Just as x-rays are used to show internal body structures, PIP may be considered as an “e-ray” that depicts the energy anatomy of the human biofield. For example, a PIP scan Another example of a scan of a Buddhist Lama showed a huge and vibrant aura with dancing lights all around the man, plus a remarkably symmetric pattern of bright colors revealing the chakras. While a PIP scan of a man before energy healing showed a pattern of some congestion and turbulence in the energy field, characteristic of poor energy regulation, the PIP scan after energy healing showed that most of the torso was green and yellow, possibly due to the chakras being energized. All participants who wish to be assessed will be PIP-scanned in this workshop. In order to be scanned most accurately, participants should wear white clothing that covers the body minimally, such as white swimwear or underwear, and they must be willing to be scanned in this attire. From the symmetry of the PIP patterns as well as colors obtained, the energy fields of participants will be evaluated and discussed. If time permits, we will show the influence of an intervention or a mind-body exercise such as qigong on the human energy field of several participants. Beverly Rubik had a remarkable personal healing experience with the world-renowned faith healer, the late Dr. Olga Worrall, back in the 1970s. Olga placed her hands on Beverly’s knees while in a trancelike state, sending energy, and her knees were spontaneously healed from chronic pain due to dance injuries. Following that, she began conducting scientific research on Olga Worrall and other spiritual and energy healers. She will tell her story as well as a few other stories of remarkable healings that have occurred in the clinic as well as the laboratory, on humans as well as animals and cell cultures. Although these data include the qualitative and depict unique and sometimes uncontrolled events, they provide insights into the mysterious real-life phenomena of healing. They are also inspirational. These stories raise many questions, including the following: What is the power of consciousness, prayer, and/or human energy to heal? How does it work? What is the role of objects such as crystals used in healing? Is there a “power of place” or a special role of conditioned space in healing? What can science tell us about healing, and where does it fall short? Are these stories congruent with indigenous understanding of healing, and if so, how? These stories may help healers and clinicians in their healing work, as well as stimulate new scientific research on the phenomena. Moreover, the transpersonal dimensions of healing are extraordinary and reveal the full human potential. Healing experiences are remarkably unique to each person and typically offer deep spiritual lessons for both healer and healee.